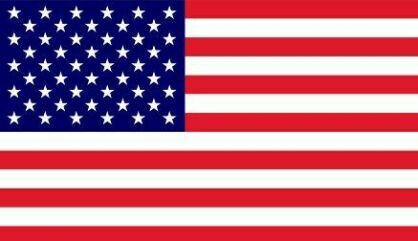 If you reside in the United States of America you should leave the country for a while every so often. When you return your appreciation of it will be enhanced. Transformation is present throughout the universe, at least like a possibility. But after you've lived without let up in an environment like the United States where there's so much of it people are blasé about it, then you experience South Africa where people make do and carve futures for themselves out of solid rock with their fingernails so to speak, you develop a new, deeper appreciation for what's available in America. We're spoiled by America. We live our lives in the United States as if lying motionless in bathtubs of warm water. If you don't move from time to time, you don't notice how warm it is. Things start to feel tepid. Coming to South Africa from the United States moves the tepid water of my life. Even in these halcyon post apartheid years called forth and given by the extraordinarily transformed persona incarnate in Nelson Rolihlahla Dalibhunga Madiba Tata (uBawom)Khulu Mandela, South Africa is still savage and dangerous at heart. People get what life could be without the violence and the runaway, baseless sense of entitlement. The momentum is still in the other direction although its begun to change. You can't turn a fully laden oil tanker, =raveling at speed, on a dime. Bringing acceptance to bear here allows me to call something forth in conversation which otherwise would only allow for sympathy and gossip. I don't blame these people. They're living against rampant forces of fear and poverty. I'm becoming very compassionate yet less and less helpful. Sentried at the southern tip of the African continent, Cape Town (the legislative capital of South Africa cuts the same splendid vistas today with Devil's Peak, Table Mountain, the Twelve Apostles, and Lion's Head mesmerizing the majestic skyline as took the breaths away from the first seventeenth century ocean explorers (Vasco Da Gama, Jan van Riebeeck et al) to these parts. This is one of the richest countries in the world, producing seventy percent or more of all its diamonds, gold, platinum, and uranium. The internationally renowned Kruger National Park, Hluhluwe Game Reserve, and Okavango Swamps provide wild life refuges and sanctuaries on a par with none. Then when you additionally throw in the finest surfing waves on our planet, you realize when continents and countries were formed and gifts and riches were handed out, South Africa was at the front of the line. So whenever I confront the way it is as distinct from the way I'd like it to be or even as distinct from the way it should be, South Africa presents the quintessential paradox, which is this: in the midst of plenty, in the midst of staggering breathtaking beauty, why is life still a struggle here? It's been years since apartheid ended. That for sure is a massive shift, not to mention a miraculous shift, a once considered impossible shift. Now its peoples are dealing with the new realities of life in a fledgeling capitalist democracy. And the unarticulated question on everyone's lips is "Why isn't freedom free?". The United States has dealt with this very issue for decades. We call it "The American Dream". We've an image of what life could be, of what life should be. For years, immigrants (legal and otherwise) have flocked to America in droves in search of it. To be sure, there's tangible evidence of a relatively small percentage of men and women, self made, realizing the American Dream. Yet most go looking for America but don't find it anywhere (as Columbia Pictures' original Easy Rider poster may have said). That's always interested me. No, not negating the American Dream. I God Bless every day I'm privileged to live in the United States free to pursue and to live the American Dream. I'm referring to the people who, while aspiring to the American Dream or to whatever they consider the American Dream to be "don't find it anywhere". When we don't find it, what does that tell us? I assert it tells us less about America than it tells us about something even more pertinent: the stock we place in our expectations, hopes, and dreams. So it is in South Africa. Do peoples' expectations of life as it is today, even in the aftermath of the once impossible to vanquish apartheid, tell us anything about South Africa? Or, congruent with life in the United States, do they tell us something even more pertinent about our hopes and dreams, the same thing about people's hopes and dreams in any country anywhere on Earth? Werner Erhard says "Life is a ripoff when you expect to get what you want. Life works when you choose what you got. Actually what you got is what you chose. To move on, choose it.". We didn't have it during the apartheid years. Now that apartheid's over, we want it, we want it all, and we want it now. Really?, I muse, somewhat sardonically (for effect only, I might add - I'm actually very inspired by their new, budding power). I don't aspire to politics to provide solutions. South Africa. and the United States aren't very different in this regard. We love making heroes of newcomers to the political scene. We love electing our heroes. Then we love finding fault with them and righteously bringing them down. We win by electing them. We win again by bringing them down. What we gain in this process is the same old same old. We sentence ourselves to business as usual. Then we shrug and accept the way it is as inevitable. If all there is for South Africa is business as usual, the outlook for the future, even in these years of the new freedom, would be bleak. 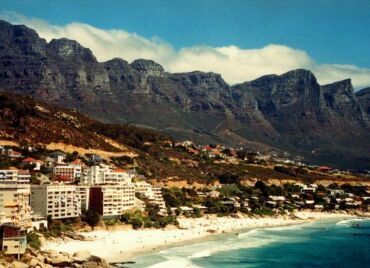 Business as usual has never ever, in any country, provided one single human being with lasting, real, thrilling satisfaction, wholeness, and completion, regardless of whether or not it's the American Dream they're after, or the new South African dream of having it all now in the post-apartheid years. We are transforming Oliver Tambo International Airport. "Tell me about it!" I gasp out loud with delight, staring at the sign, startling the people around me, stopping dead in my tracks causing people walking in line behind me to bump into me, clucking with irritation. In 1979, twenty eight years ago almost to the day, I brought Werner Erhard's work to South Africa, leading the first ten events here, enrolling the first one thousand people here. One of my stated intentions for Werner's work in South Africa in 1979 was to bring forth the freeing of Nelson Mandela and the end of apartheid. To be sure, many groups, many causes, and many individuals participated in bringing about the freeing of Nelson Mandela and the end of apartheid. Our contribution was to provide the context of languaging, a context in which Nelson Mandela would be freed and apartheid would end just because we said so. Werner asserts his work will eventually disappear into the fabric of society, that the languaging he invented will be absorbed by humanity as it becomes commonplace, obvious. Here's living proof: Nelson Mandela is free, apartheid has ended, and now we're inexorably transforming (quote unquote) Oliver Tambo International Airport. 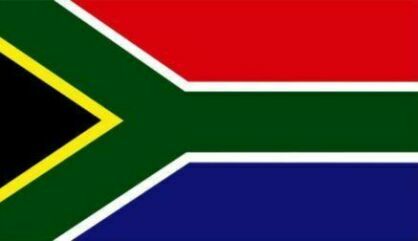 Publicly I declare my admiration for all the people of all the nations of South Africa. But in my heart I thank Werner.